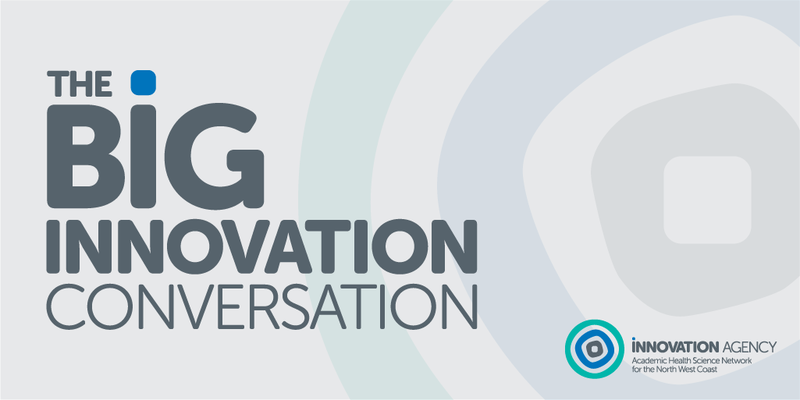 The Big Innovation Conversation is a series of bite-sized learning opportunities via WebEx for one hour, every month. They will include innovations that we want to showcase and topics that we want to share. Our conversations are held on the second Thursday of every month. Future topics can be found on our Events page. Patient Activation and Self Care - hosted by our Programme Manager for Transformation, Ed Millensted; Katie Goulding, Organisational Development Facilitator - Blackpool Teaching Hospitals NHS FT; Dr Campbell Murdoch, Chief Medical Officer, Diabetes Digital Media (click here for his video presentation) and Yvonne Lane - Patient Speaker, exploring products and services that support people with an existing diagnosis to manage their condition. Workforce Resource Optimisation - hosted by our Director of Transformation, Carole Spencer; Sue Henry - Workforce Programme Manager; WRaPT and Lantum, exploring the work we are doing to support innovation in workforce development. Patient Safety - hosted by our Patient Safety team; Alison Jones - Birmingham Women's and Children's NHS FT and Anita Williams - Mersey Care NHS FT providing an update on the new NHSI national safety workstreams. Greater support and resource for Primary Care - hosted by my mhealth, My Health UK and UCLan exploring products and services that release GP capacity and make practices more effective and efficient. Operational excellence - hosted by Docobo, Healthcare Communications and Insource, exploring products and services that improve effectiveness and efficiency of non-clinical systems, reduce running costs and prevent variation and duplication of processes. Social prescribing - hosted by Jo Ward; Elemental Software and Social Enterprise Solutions, exploring how social prescribing is helping to improve health and wellbeing, and reducing pressure on services. Learning from failure and psychological safety - hosted by Dr Samuel West, Museum of Failure, exploring concepts around failure, how we learn from it and the psychological safety required for safe risk taking. E-Sepsis - hosted by Dr Emmanuel Nsutebu, Consultant Infectious Diseases, who leads on the E-Sepsis programme at Royal Liverpool and Broadgreen University Hospital NHS Trust. ESCAPE-Pain - hosted by Professor Mike Hurley, introducing the award winning, NICE and QIPP endorsed programme which helps people to manage joint pain and delay surgery. Using artificial intelligence in falls prevention - introducing Kosie's artificial intelligence based fall detection technology and fall prevention roadmap. Safety and resource optimisation - hosted by three organisations focused on safety and resource optimisation. BedStateTracker.co.uk - Track beds to reduce the time it takes to find the right bed for your patient. My Health UK - A GP platform with a patient app for messaging and reminders, ordering prescriptions, making appointments and remote monitoring that is integrated with the patient record. Rinicare - A health tech company bringing their technology and innovation into the NHS.